Experiencing and shaping the future. In the DESMA Training Center, customers and employees can become prepared for demands of tomorrow. The close synergy with DESMA research & development allows for exclusive access to invaluable expertise. The innovative DESMA e-learning platform makes it possible for customers and employees of DESMA to better understand DESMA machines and moulds, and to prepare themselves for hands-on classes. Note: to view the above documents in PDF format requires Adobe Reader. You can download it by clicking on the logo below. Training for customers. In addition to the free basic instructions, customers are provided with a wide range of theoretical and hands-on training. 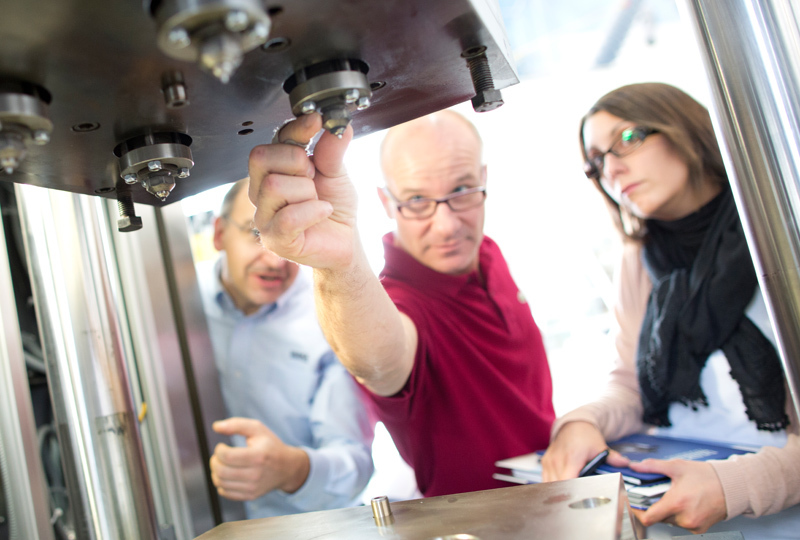 Courses catering to the specific customer needs impart valu-able knowledge of DESMA injection moulding machines relative to the topics of control systems, hydraulics, electrics and process technology - for efficient and profitable production. Training for employees. Customer advisors, service technicians, trainees and employees at the various international DESMA locations are given the opportunity to expand their knowledge with DESMA training programs. This culture of continuous learning allows DESMA to pass along valuable knowledge to our customers. Are the most important preconditions satisfied for funding ESF-cofinanced qualification courses for recipients of short-time working allowances? To satisfy the most important funding conditions, all of the questions listed below must be answered with “yes”! Is this a qualification measure for recipients of short-time working allowances? Is the applicant the employer of the business in which short-time working allowances are paid pursuant to SGB III (Social Security Statute Book)? Is the qualification measure being carried out for persons receiving short-time working allowances pursuant to the Social Security Statute Book (SGB III), and who have no need for any further training in the sense of SGB III? Can the qualification requirements for the employees be justified? Is there a guarantee that participation at the qualification measure does not stand in the way of return to full-time employment or an increase in working hours? Does the training organization have the necessary authorizations? Does the qualification measure end within the period over which the short-time working allowance is being paid? Are male and female equality and non-discrimination aspects observed? Immediately after a DESMA machine has been installed, the service engineers explain the correct handling of the system. The operators are thus made familiar with the system, and obtain optimum access to the major functions. The basic instructions, which can take up to 8 hours, are mandatory after the installation of each new DESMA machine. Company-specific courses can be held either at the participating customer's or at the DESMA training center. The course content is tuned exactly to the company-specific requirements. To start with, the trainer explains the content of the course theoretically with different media. In the practical part, the students repeat the exercises on their own - for more safety and practical experience. Each participant receives a certificate (with final test, if required) with test result and the achieved qualification. There is always a learning goal test for AZWV-sponsored participants. Here, the optimization of production processes is in the foreground. The DESMA specialists help in defining and implementing possible improvements. Detailed information is available in our latest training catalogue (see above). 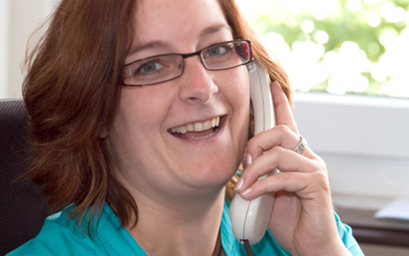 Please call Mrs. Schilling who will be happy to give you advice on all aspects of the DESMA training courses.